Save Real Money and Look Fantastic! 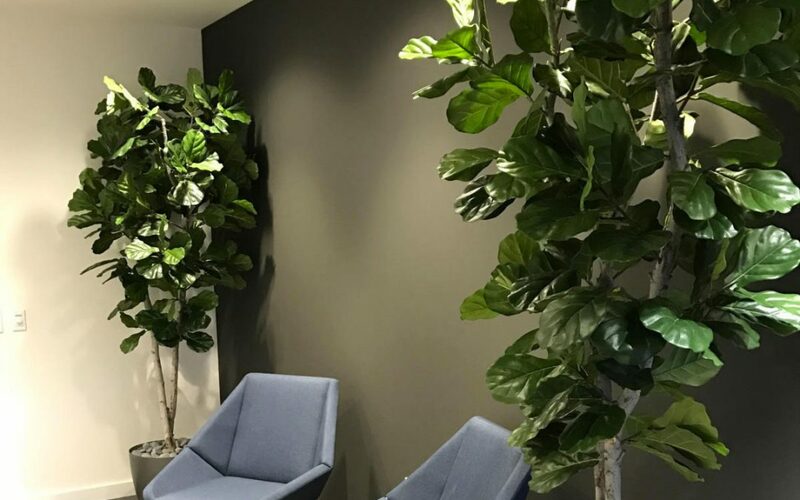 Make Be-Leaves recently installed a wide variety of custom artificial trees, floor plants and succulent arrangements for Skechers corporate offices in Manhattan Beach. 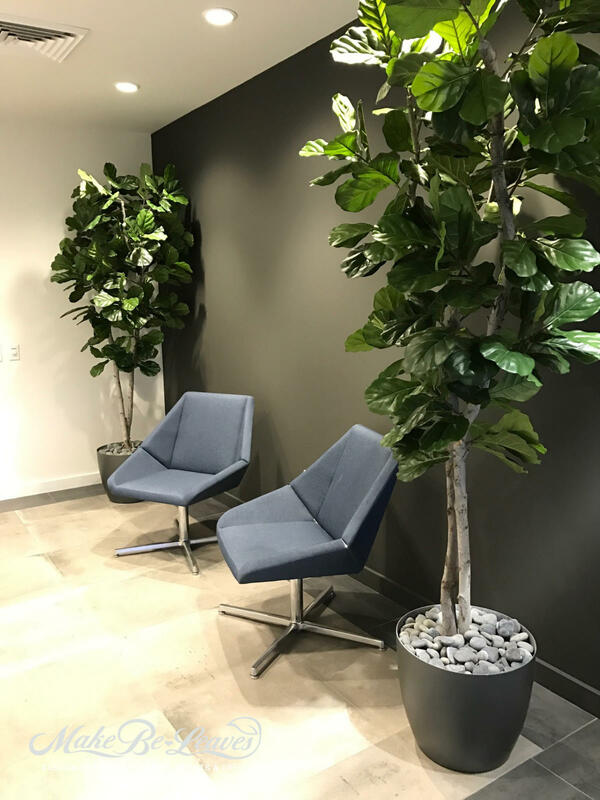 Our exotic Fiddle Leaf Fig Trees, horsetail reed plantings, Zamia plants and mixed succulents complimented the sleek, contemporary designed office spaces. As you enter the Wagstaff Worldwide office in Hollywood, CA, there is an open wood structure to create division between the entrance area and the work space. 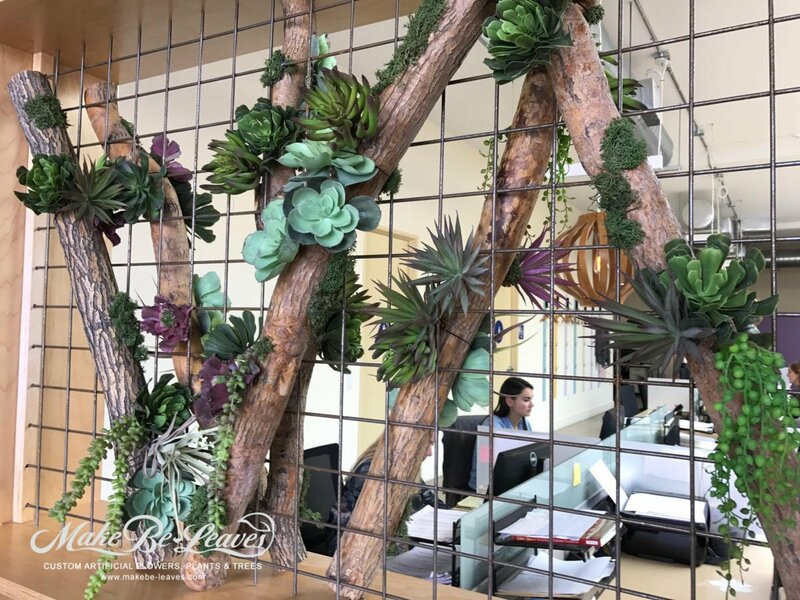 After attempting to use real succulents on the gridded structure – which didn’t last long – Make Be-Leaves was hired to create a unique “screening” of natural wood trunks with mixed succulents. 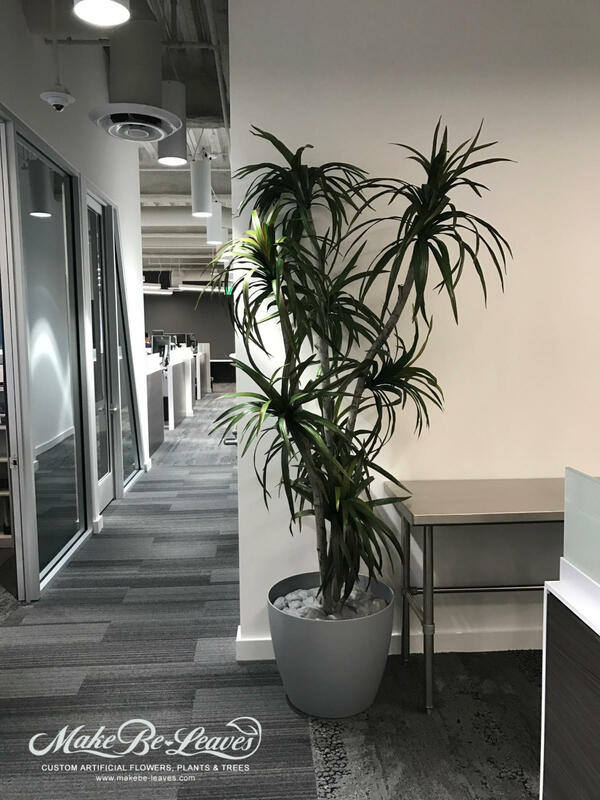 This fun, unique planting added style and privacy – while still allowing light through to the work space. 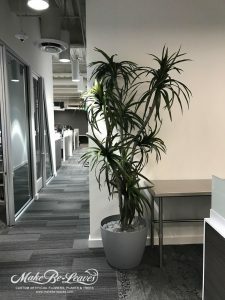 Make Be-Leaves is a commercial supplier of Artificial Plants and Trees, Faux Flowers, Preserved Palms, Custom plantscapes and silk floral arrangements to the design trade. 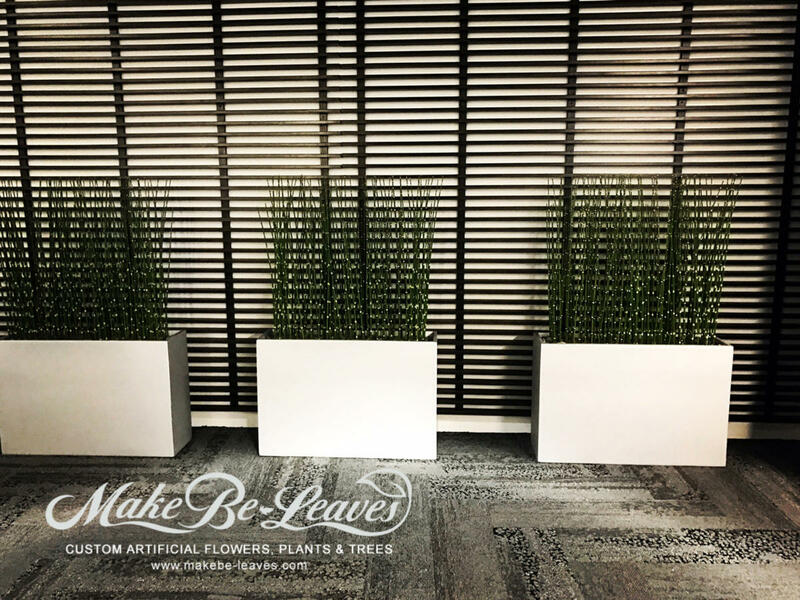 Make Be-Leaves works creatively with Landscape Architects, Interior and Exterior Designers and firms to produce and install life-like custom plant creations worldwide. We are proud to be recognized as a GSA-approved contractor since 1988, a WBENC-certified Woman Owned small business and California Certified Flame Treatment Applicator. Our lush artificial plant creations are life-like and help to save you money.